Developmental, or remedial, education courses are designed to develop the reading, writing, or math skills of students who are deemed underprepared for college-level courses. 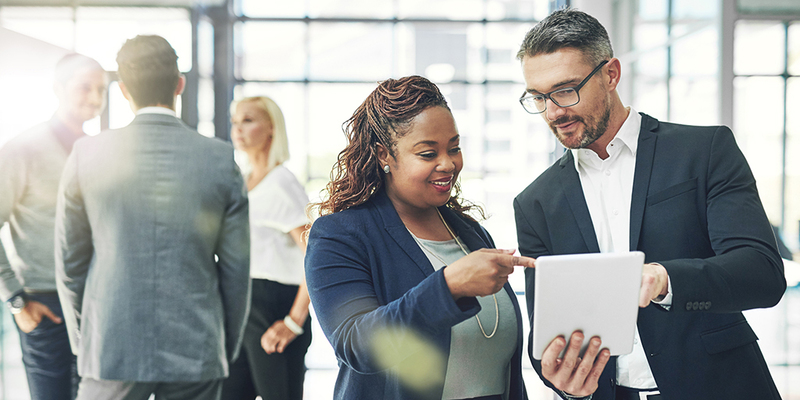 Offering these noncredit courses allows community colleges and less selective four-year colleges to open their doors to students who might otherwise be shut out of higher education. The millions of students who enroll in developmental education are disproportionately students of color, adults, first-generation students, and students from low-income backgrounds. Some did not receive an adequate academic foundation in high school, while others have been away from the classroom for years and need an English or math refresher. The goal of developmental education is to improve students’ skills and increase their chances of success in credit-bearing, college-level programs. However, barriers on campus and in federal, state, and institutional policies can slow students’ progress toward a degree, and in turn have long-term implications for students and states. Policymakers have begun to pay more attention to the research that shows the weaknesses of developmental education and its impact on college completion, workforce development, and equity goals. This brief, written in collaboration with the Education Commission of the States (ECS), discusses the importance of and challenges surrounding developmental education and suggests ways in which policymakers can address these challenges. 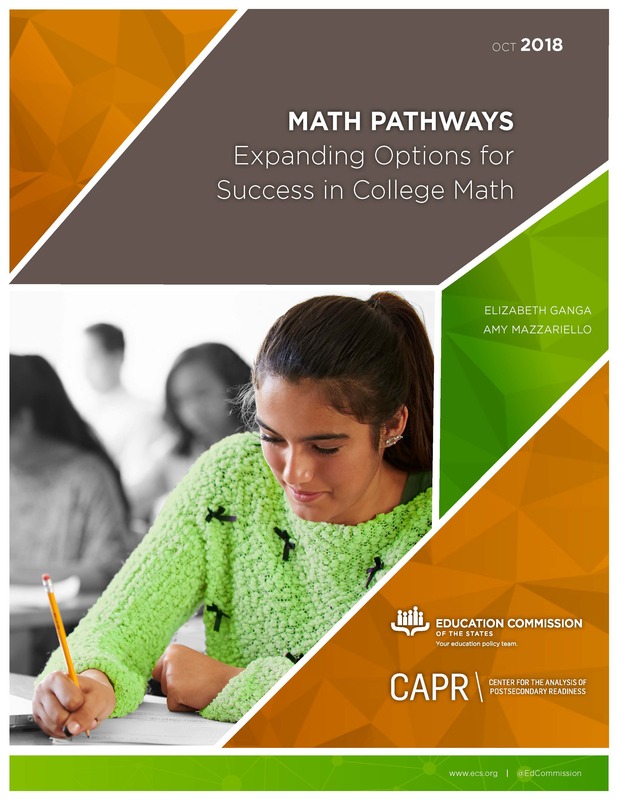 It is part of a series of briefs by CAPR and ECS on developmental education for policymakers, which also includes Math Pathways: Expanding Options for Success in College Math. More than two-thirds of community college students and 40 percent of four-year college students take at least one developmental course. Students who take developmental courses are less likely to complete a program and earn a degree or certificate. Remediation as traditionally taught has had, at best, modest effects on improving outcomes for students who enter college with weak academic skills. 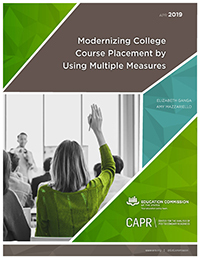 This brief describes the evidence for multiple measures placement and offers an overview of the types of multiple measures placement systems used across the country. Note: In July 2018, a change was made to page 4 of this brief to correct the reported findings of a study on severe error rates associated with using standardized assessments to place students into either developmental or college-level courses. The study estimated that 29 percent of students were severely underplaced into developmental English and that 18 percent of students were severely underplaced into developmental math. Counting both these underplacements as well as overplacements into college-level courses that students would likely fail, 33 percent and 24 percent of students were estimated to be severely misplaced in English and math, respectively.